If you have a toddler, or pets in your house, the carpet is bound to get a stain at some point. Carpets and rugs can be a challenge to clean and remove stains. Professional carpet cleaning services can be expensive and difficult to work in to your schedule. If you clean your own carpets or have ever considered renting/buying a machine to do it yourself, you will still have to purchase the shampoo to put in them, but have you ever thought about making your own carpet cleaner yourself? 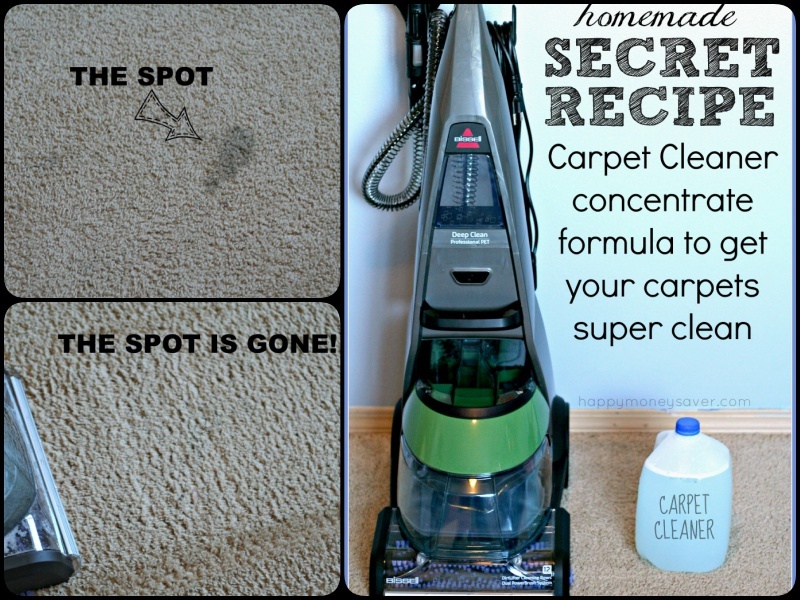 Well, here is the good news, this Homemade Carpet Cleaning Solution is one of the best and will do the job very effectively to get rid of stains or spots in your carpets. Click below link for solution….